(2019) Husker Fans Salute The Troops Weekend! Illinois. For more information, scroll down this page. Help us honor our military men and women by donating HERE. Our mission is to salute Nebraska Soldiers, Sailors, Airmen and Marines: active duty, national guard, reserve, retired and veterans, to say “Thank you for your service to our Nation” so they know the Husker Nation will never forget their sacrifice and dedication. on September 21st. This weekend is more than just a watch party, though. It is a chance for these servicemen and women to be treated like the heroes. 2019 marks the 12th year for this event. 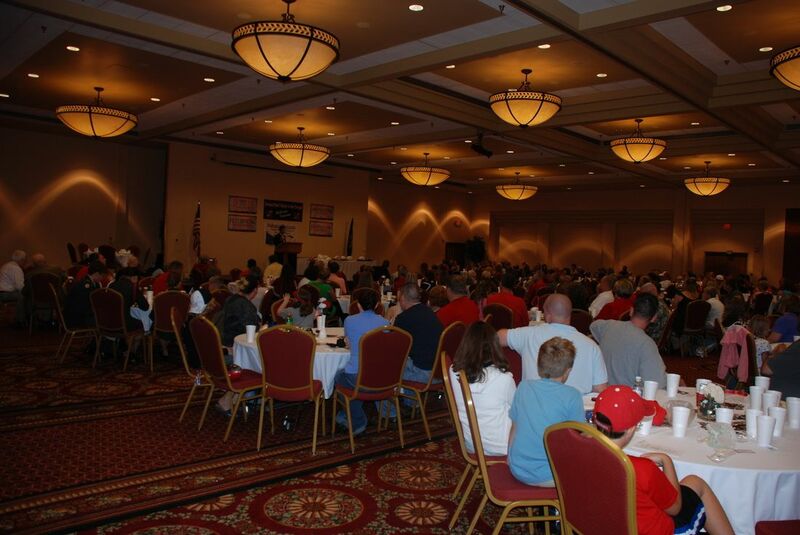 2008 was our first year held during the OU game and attended by about 70 troopers and their families. Since then we have had to limit our attendance as it has grown to nearly 500 attendees. Each year we try to improve the troopers experience and being our eleventh year we are expecting this to be the best. Registration is limited to members of all branches of the United States Military, active or retired. 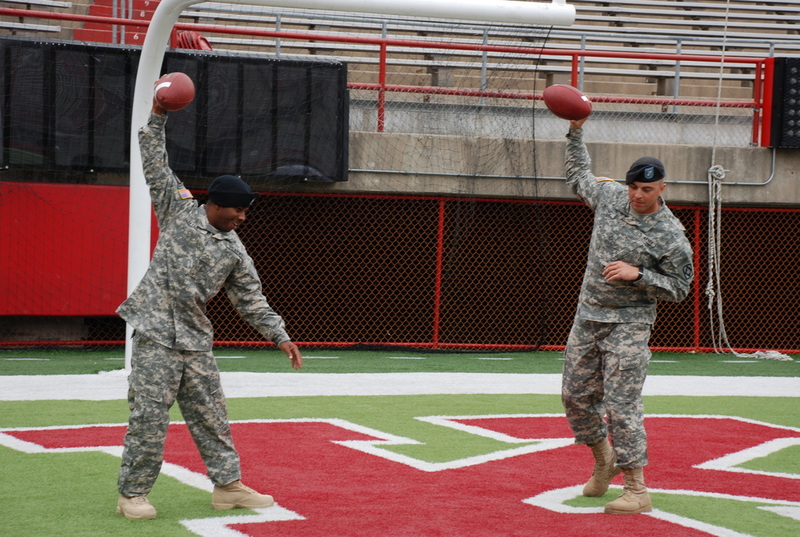 The "Salute" organization will provide: On Saturday Meet former Husker Football greats! 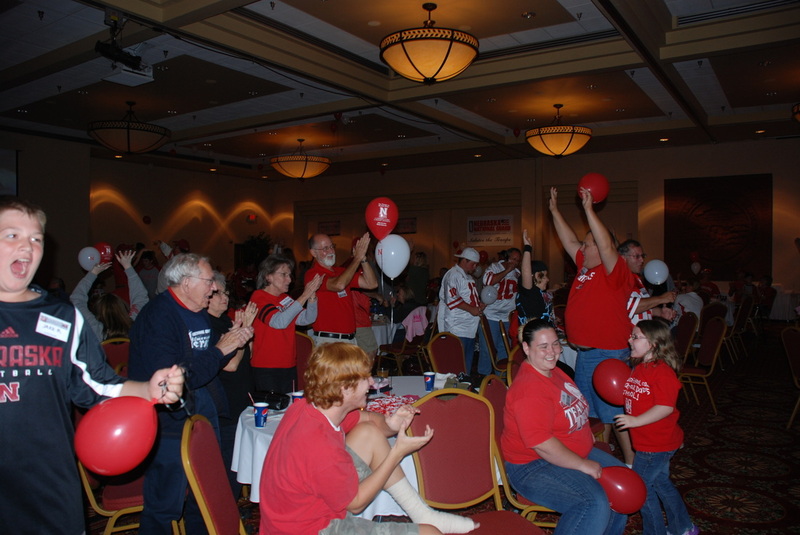 Attend a watch party for when Nebraska takes on Illinois, complete with food, drinks, door prizes and special activities for the kids. A free night stay at the Cornhusker Marriott Hotel that night. Sunday a brunch to honor our military men and women with special guest speaker Boyd Epply who now is the Athletic Director for Strength and Conditioning. First time registrants will have to pay only a small $40 non-refundable registration fee to hold their reservation and repeat registrants will have to pay a $65 non-refundable registration fee. We cannot do this without the support of Husker fans everywhere. The “Salute” weekend provides military members a unique opportunity to spend a dream weekend around something they love. Our board's goal is to provide this weekend for the military families at no cost to them except a nominal registration fee. Will you please help us honor the service of fellow Nebraska fans by providing funds or by donating goods and services? Any donation level is appreciated and helps our efforts. Husker Salute is a non-profit organization that is staffed by all volunteers. All donations are tax-exempt through Husker Salute under the 501c3 tax code. Please contact us if you have any questions. Huskersalute.org is optimized for mobile devices.